This one's a hit on the Sunset Side! I stopped at Horizon Books in Traverse City last week, and I was told that ED&BW is very popular there. That wasn't much of a surprise, since the book takes place in TC's back yard, the Leelanau Peninsula. People sometimes claim that such-and-such a place is the most beautiful spot in Michigan. There's some friendly competition between the land west of I-75 and east of it. West has hills and is more cosmopolitan. East has peace and quiet with lots of wilderness. Both are beautiful, as is the U.P., the center of the state, the southwest counties, and so on. 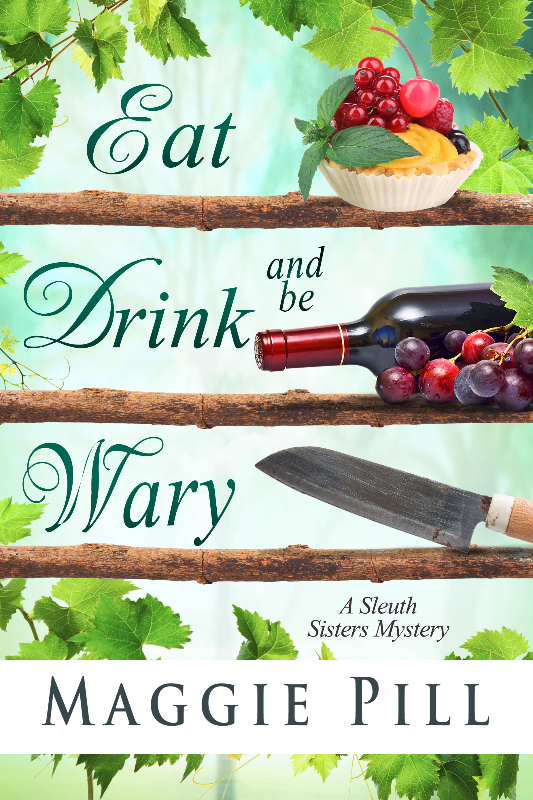 Eat, Drink, and Be Wary is set in a mythical winery on the Leelanau, and Faye and Retta go there at the request of Lars' friend at the FBI office in Detroit. He needs a couple of mature women to attend a retreat and see if they can convince a designer who's hosting a fashion show there to turn state's evidence. Barb refuses to go, since the retreat is for "Sweet, old-fashioned" types who don't mind being secondary to their men. Once the two arrive, things deteriorate rapidly. Retta is held prisoner while Faye is forced to attend retreat activities and pretend she's having a good time. She ends up helping with the fashion show, which threatens to be a disaster: the models are strippers and Faye,who raised only boys and couldn't care less about clothing trends, ends up the designer's only helper. When Barb realizes her sisters are in trouble she hurries to their aid, but she's no match for a crook with a gun. 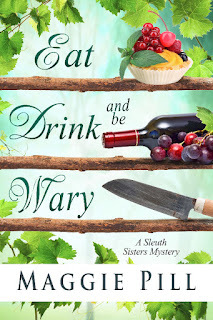 Separated and scared, the sisters work desperately to escape and cling to the slim but never gone hope that they'll all be together and whole when the weekend is over.